At least people are learning how to describe and differentiate the illusory loops of the slower moving planets where the Earth overtakes them and thereby a central Sun is inferred. Copernicus switched the 365 day motion of the Sun between Mars and Venus with the 365 day motion of the Earth. 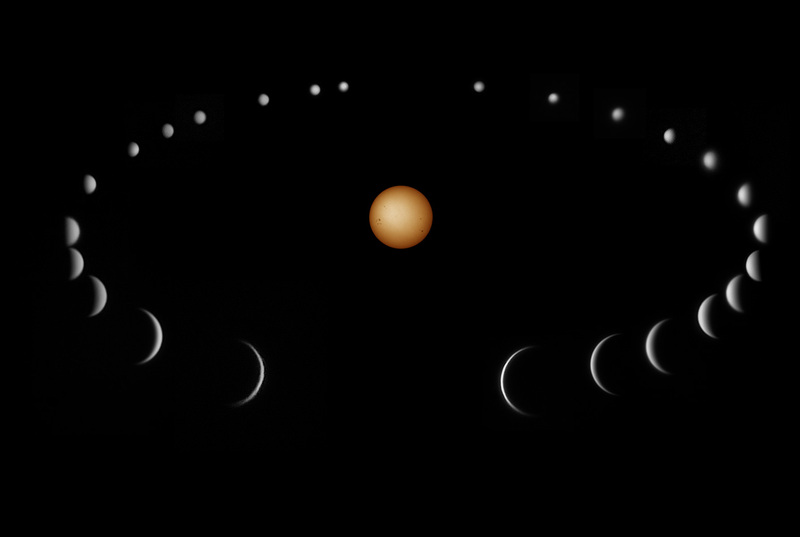 The final piece was constructed in this newsgroup where the transition of the stars from left to right of the Sun sets up the Sun as a central reference for the motions of Venus and Mercury so the minimal effect of the Earth's orbital motion is to delay the points which Venus and Mercury reach before turning in front of the Sun or behind the Sun. The partitioning of direct/retrogrades using faster/slower motions or wider/smaller orbital circumferences will eventually make it into circulation so at last I can take a rest. I love what our ancestors did, even when it was half light, and the need to handle their observations with care least they vanish under the gaze of crude minds much like the great poetical language of inspiration. The motion of the direct/retrogrades of the faster moving planets join those of the slower as being equally of joy and satisfaction so we can look both out and in as we do in all aspects of life.